Momma its true! the Tooth Fairy does exist, just like Santa. Usually teeth that have fallen out are anything but cute right? 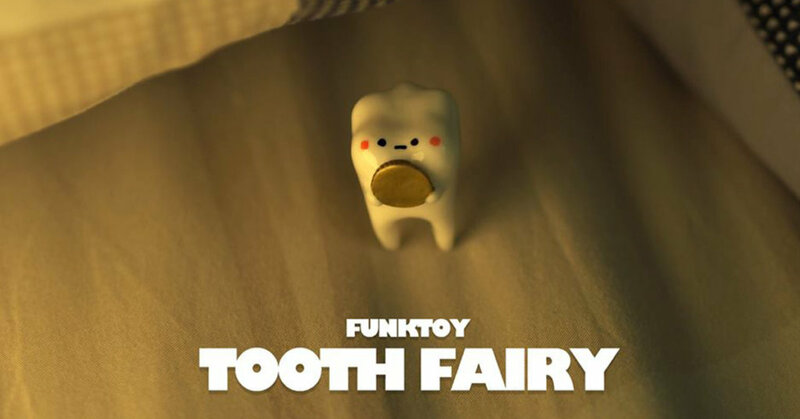 Not now, as Funk Toy are set to release Tooth Fairy. Bless the little tooth as its even come with its own little coin. Legend says, if the teeth that are dropped are put under the pillow, the next day tooth fairy will bring you a gold coin, so!!! !